2015 Barbera Rosé – A refreshing rosé made from Barbera grapes yielding balanced acidity and fruity aromas of red cherry and raspberry. Perfect by itself or together with food. This wine is best served chilled. 2012 Barbera – Barbera grapes yield rich fruit forward flavors of red cherry and raspberry with balanced acidity and fruity aromas. Pair with pasta, pizza or anything Italian. 2012 Grizzly Syrah – Syrah grapes usually yield powerful flavors of blackberry and black liquorice. Our 2012 Grizzly Syrah also has flavors of Coffee, Chocolate, Vanilla with a very oakey nose. High in tannins and low in acidity this wine pairs well with robust meats such as grilled lamb. 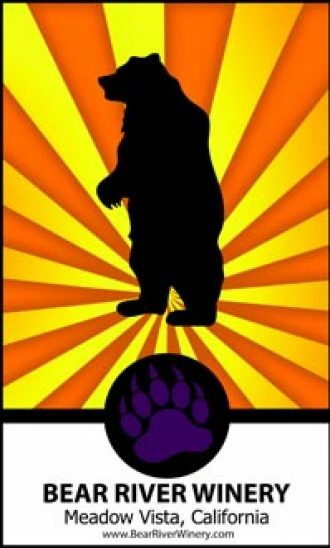 2014 Beardeaux Right Paw – A right paw blend of 70% Merlot and 30% Cabernet Sauvignon grapes. Classic fruit flavors of cherry, raspberry, blackberry and black olive. Produced with Organically Grown Grapes. 2014 Beardeaux Left Paw – A left paw blend of 70% Cabernet Sauvignon and 30% Merlot grapes. Classic fruit flavors of cherry, raspberry, blackberry and black olive. Produced with Organically Grown Grapes. 2009 Teddy Bear [Port Style] – Fermentation of Syrah grapes is halted early leaving high residual sugar for a delicious dessert wine with sweet fruit flavors. Serve with a cigar, chocolate or as a bedtime treat.